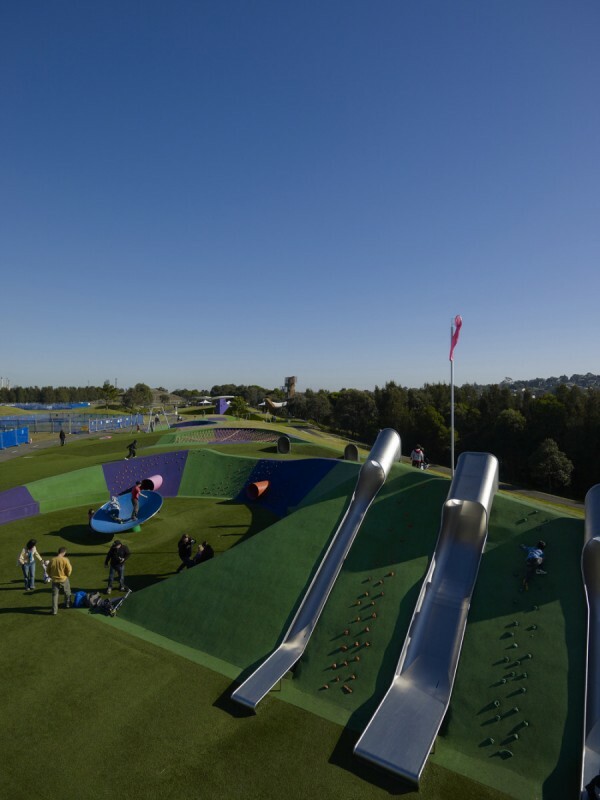 Blaxland Riverside Park in Sydney, Australia is a new playscape designed by JMD Design that goes much, much further than your standard playground set. 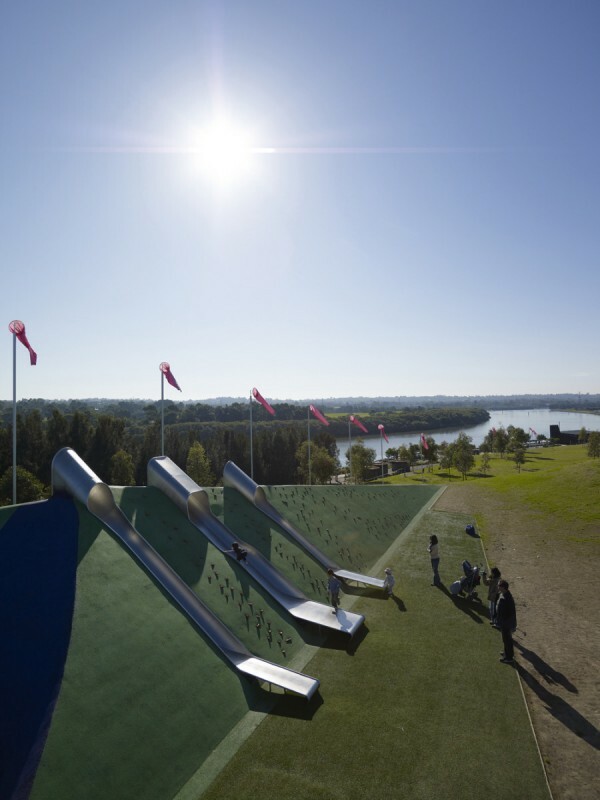 Landscaped mounds with varying textures and carefully selected colours are combined with metal slides, climbing structures, tunnels and balancing discs,working seamlessly to provide children with the tools to test their physical cabilities and capture their imaginations. 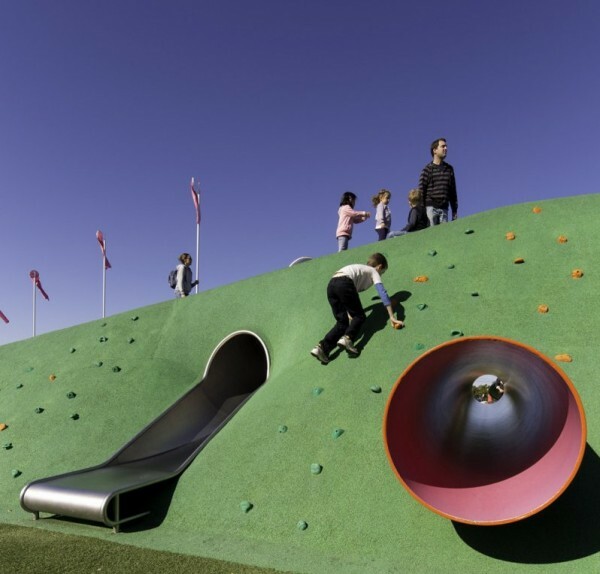 The park is designed to account for a number of types of play - from highly active play - with plenty of space to freely run, climb and slide, to more passive types of play - to sit and reflect or hide in a "worm hole". 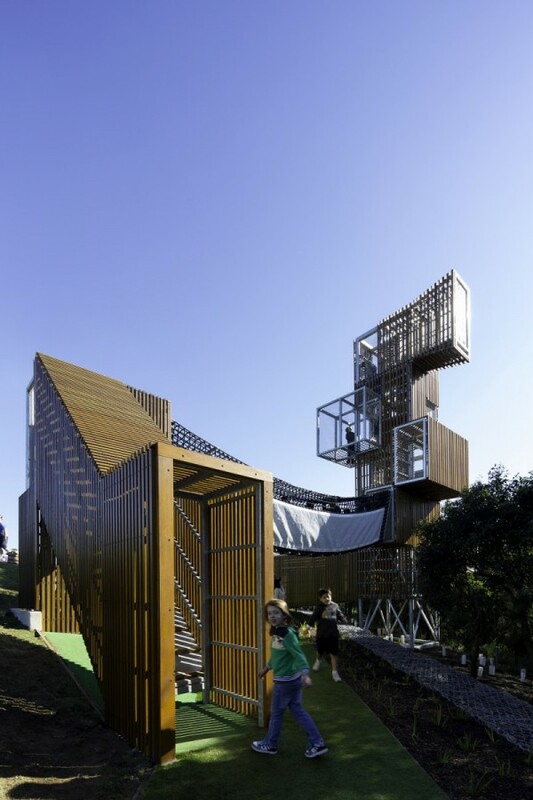 Here, an architetcural structure offers a space for children to inhabit - to play out their dreams - its many levels challenging and empowering them and offering a lookout and a space to call their own. Investing in fun and active public spaces for our youngest of citizens might just go some way in improving the health and general wellbeing of our society. Reconnecting with the outdoors, providing a little good-natured risk and recapturing our youthful (and stress-free) roots.